Japanese green tea is one of the healthiest drinks on the planet. Over 158 million Americans drink tea on a daily basis and consume over 3.6 billion gallons per year. If you’re sick of drinking coffee, need a caffeine boost and want to see other benefits, join others around the world and start drinking green tea. Let’s discover all the benefits green tea can provide for your health. 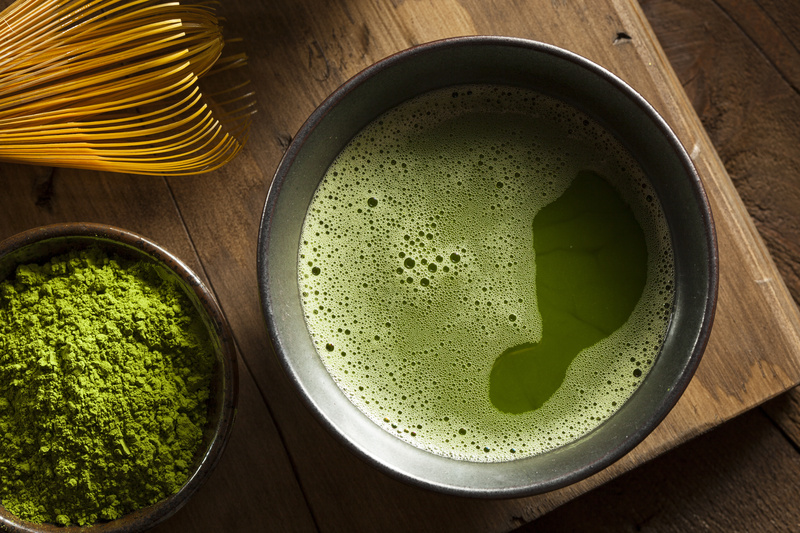 There are secret health benefits of Japanese green tea that are becoming more known. WebMD Dr. Christopher Ochner states “it’s the healthiest thing I can think of to drink.” If top healthcare leaders are promoting it, it’s worth looking into further. Weight loss is the most common known benefit of green tea. A quick Google search populates hundreds of articles about weight loss and green tea. What’s so special about it? Green tea has fat loss capabilities. It contains thermogenic properties that assist your body in burning fat. You can find green tea capsules that are for weight loss because it’s so effective. Most fat burning supplements contain green tea as one of the ingredients. Don’t expect your weight on the scale to decrease, but green tea helps cut fat that builds up around your belly. This fat is subcutaneous fat and is very damaging to your organs. Green tea helps reduce the inflammation that occurs when your body is storing large volumes of this fat. Your body burns calories even when it is not doing physical activity but performing normal body functions. The thermogenic properties that green tea has to help burn fat also give your metabolism a boost. Recent studies show that it could be as much as an 8% boost. Having a higher metabolism allows your body to burn more calories while at rest. After drinking this beverage, the effects show to last long-term. Having a healthy metabolism is a great way to jumpstart weight loss. Did you know Japanese green tea can make you smarter? That may be an outrageous claim, but it does boost your brain’s functions and performance. Green tea contains amino acids, one specifically called L-theanine. This amino acid improves brain function. So, green tea can make you smarter or utilize the smarts you have efficiently. Japanese green tea contains antioxidants that detoxify and reduce inflammation. It reduces the overall risks of cancer. When you drink green tea, you can be protected from all types of cancer. In a recent study, women that consumed green tea were at a much lower risk of breast cancer than those who did not. Tumor growth slows immensely due to the polyphenols green tea contains. Polyphenols are nutrient-rich chemicals that slow down protein growth. In Japanese culture, green tea is used for the treatment of cancer because of its potency. Bacteria grows on teeth, which is how cavities and gum diseases start. Anti-bacterial properties found in green tea assist in removing harmful bacteria that seek to destroy your dental health. It inhibits the growth of a harmful bacteria called Streptococcus mutans. This bacteria forms plaque on your teeth. By drinking green tea, plaque doesn’t grow and thus prevent tooth decay. Mentioned earlier, green tea has anti-inflammatory properties. This helps to prevent cancer, chronic illness, obesity, and cardiovascular disease. Did you know that people in Japan saw longer life spans when drinking more than 5 glasses per day? I think it’s safe to say that by preventing cardiovascular disease and cancer, your life is significantly prolonged. Green tea helps you keep your body overall feeling great and healthy. The same amino acid, L-theanine, that helps your brain improve its function and performance also helps your body to relax and avoid anxiety. These amino acids send waves to your brain that tells your body to calm down. When you feel calm, your stress is naturally reduced and your body can be further relaxed. Being calm leads to a reduction in cortisol, which makes your body hold on to harmful fat and water weight. If you have trouble with high blood pressure or hypertension like most Americans, Japanese green tea can significantly reduce your levels. It works almost immediately after the consumption of a cup so it could come it handy if you’re feeling worked up over something. Having low blood pressure means reducing the risk of cardiovascular disease and keeping an anxiety-free state of mind. If you have a weak immune system, drinking warm Japanese green tea can help you feel better. It comes back to the powerful antioxidants in a single cup. Green tea protects your body from free radicals looking to attack your cells and create an infection. Green tea drives infection away, keeps your cells strong and reduces symptoms of illness. Japanese green tea’s amazing detoxifying and anti-inflammatory properties work together to increase your overall organ functions. Drinking green tea on a consistent basis, preferably at least once a day, allows it to work to detox your kidneys and live. Being in detox can bring you into an enlightened state where your energy levels are high and fatigue is gone. If you have digestive issues such as irritable bowel syndrome, Crohn’s disease, bloating, diarrhea or constipation, green tea is the suggested remedy. It can reduce the inflammation in your bowels and stomach and keep them from cramping. Its anti-bacterial qualities can eliminate any harmful or negative bacteria living in your organs. It’s obvious that Japanese green tea has many mental health and physical health benefits. There are a wide variety of types of green tea that you can try that will provide these benefits to you. To list a few: Matcha, Sencha, or Gyokuro. Another tea that provides amazing health benefits is Rooibos tea, which is a red tea. Getting a health boost is one of the simplest things you can do with green tea. Check out our blog to discover other reasons why green tea will benefit you.